The Asus ROG Matrix GTX 780 Ti Platinum was also revealed, together with its Radeon counterpart, the ROG Matrix R9 290X Platinum. 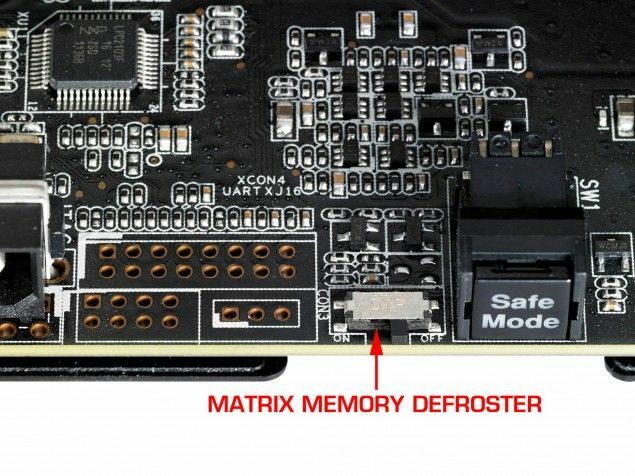 The Matrix GTX780TI Platinum also sports the same improved design, with Black Heatsink and all black color schemes with Red accents, and it is expected to be faster than the DirectCU II OC variant. Most probably this is Asus’ answer to EVGA GTX 780 Ti KINGPIN and Inno3D’s iChill GTX 780Ti DHS HerculeZ X3 Ultra Edition. Check out the rest of its features and specifications below. It’s been a while since Asus had an NVIDIA card in the Matrix category. The last was the Matrix GTX 580 many years ago, and now it’s back together with its R9 290X counterpart, sharing the a similar design and cooler. The Asus ROG Matrix GTX 780 Ti Platinum features 2880 CUDA Cores, 48 ROPS, 240 TMUs and 3GB GDDR5 memory in a 384-bit memory interface. 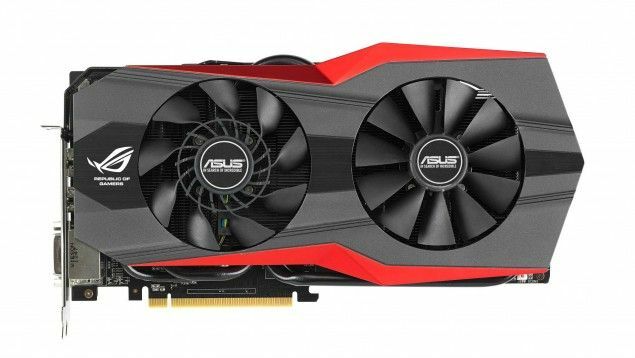 The core specifications aren’t far from the Asus GTX780TI-DC2OC-3GD5, but expect that the clock speeds or factory overclock settings will be higher than the DirectCU II OC variant. 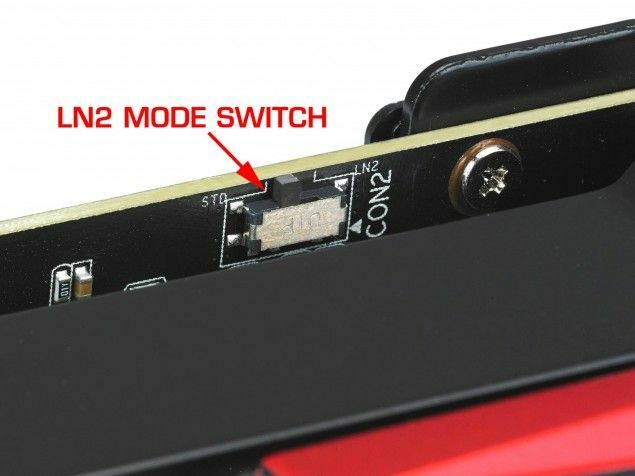 Also expect that it can handle extreme overclocking, thanks to the L2N mode switch and the Matrix Memory Defroster built in this card. Yes guys! It’s built for Liquid Nitrogen cooling sessions! The Asus Matrix GTX 780 Ti features12+4 phases for core and memory, and features Asus’ latest DiGi+ II design with Super Allow Power, chokes and capacitors that can handle extreme overclocking. It draws its power from an 8pin + 8pin power connector just like the DirectCU II OC variant. 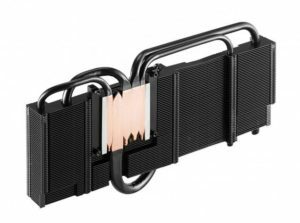 The GK110 780 Ti chip is cooled by a large Black heatsink with 5 heatpipes spreading the heat across the aluminum fins. Basically the Asus ROG Matrix GTX 780 Ti and R9 290X Platinum graphics cards are like twins, sharing similar design, set of features and more. The only thing that makes them different is the fact that the other one is an NVIDIA GeForce GTX 780 Ti-based card, while the other one is an AMD Radeon R9 290X-based graphics card. Expect that the Asus ROG logo on its side will lit up or pulsate, just like in the Asus Poseidon GTX 780. Currently information regarding its detailed specifications, clock speeds, exact price and release date are not yet available. But expect that the Asus Matrix GTX 780 Ti Platinum will be priced higher than the DirectCU II OC variant. Manufacturer’s suggested retail price might reach up to $800 USD or more. Anyway, it won’t be long until Asus will officially launch this card. 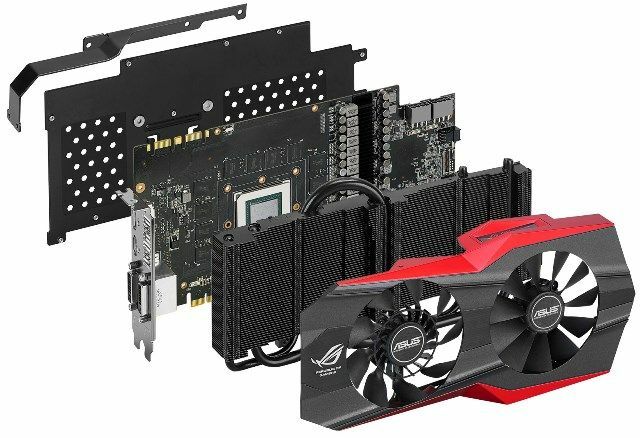 Aside from the Asus Matrix GTX 780 Ti and R9 290X Platinum, Asus is also planning to unleash the Asus ROG ARES III Dual GPU. “Most probably this is Asus’ answer to to –>MSI’s GTX 780 Ti KINGPIN<–"
MSI… lol. You mean EVGA right? "Journalists" these days are a joke. Yikes! haha you’re right. Thank you for pointing that out. I was thinking about MSI’s GTX 780 Ti Lightning. Well, sorry to disappoint you. I’m not really a “journalist”. Didn’t have a mass communication degree and English is not my native language. I like computers and gadgets, and as much as possible I want to share things the best way I can. Don’t worry I’ll try to do better next time. But I do appreciate you visiting my site though and leaving comments. Although you could have just said it in a nice way.